TUESDAY, Aug. 22, 2017 (HealthDay News) -- After treatment for an opioid overdose, many Medicaid patients continue to receive prescriptions for the same type of drugs that nearly killed them, researchers say. Moreover, few overdose patients are prescribed anti-addiction medications after hospital discharge, the University of Pittsburgh investigators found. The researchers studied more than 6,000 people who survived an overdose from an opioid -- a class of drugs including painkillers like morphine and OxyContin (oxycodone), synthetic opioids such as fentanyl, and heroin. "Forty percent of those with a heroin overdose and 60 percent of those with a prescription opioid overdose filled a prescription in the six months after overdose for the very kind of medication that contributed to the overdose in the first place," said lead researcher Julie Donohue. She's an associate professor of health policy and management at the university's Graduate School of Public Health. The U.S. health care system isn't organized to respond to these life-threatening events, which disproportionately affect young people, she said. According to the U.S. Centers for Disease Control and Prevention, more than 33,000 Americans died from opioid overdose, including prescription painkillers and heroin, in 2015. And for every overdose death, there are 30 non-fatal overdoses -- each presenting a window of opportunity to intervene, Donohue said. One specialist said addiction treatment isn't readily available. "We don't have the capacity to get everyone into follow-up because the workforce is less than half the size it needs to be to handle the crisis," said Dr. Corey Waller, a spokesman for the American Society of Addiction Medicine. 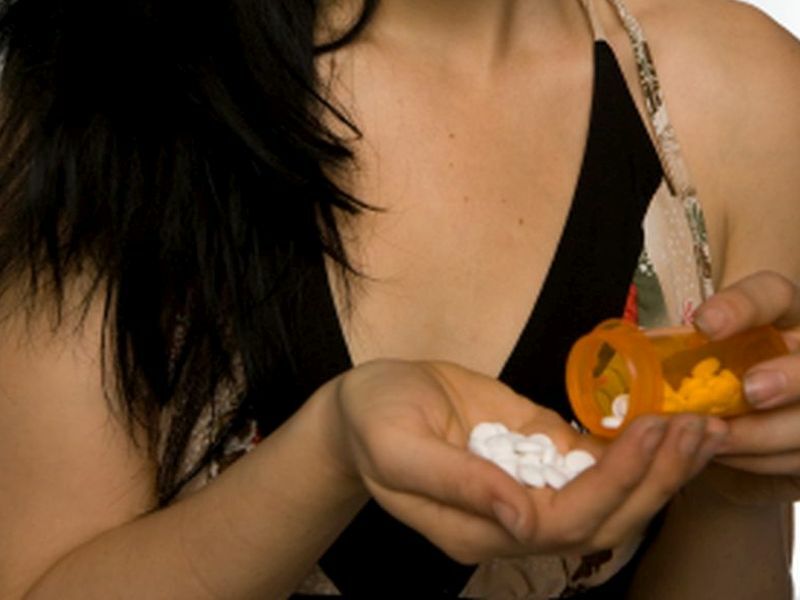 In addition, doctors often aren't told of their patient's overdose by the medical system or the patients themselves, said Waller, who is senior medical director for education and policy at the National Center for Complex Health and Social Needs in Camden, N.J.
Donohue agreed that major changes are needed. "We need to increase treatment capacity so people treated for overdose in hospitals can begin addiction treatment while in the hospital, reduce stigma associated with treatment, and educate providers on how to motivate patients to engage with treatment," Donohue suggested. In addition, doctors who prescribe opioid pain medications need to know when a patient has had an overdose so they can change the treatment, she said. "It is highly likely that other non-addiction forms of pain treatment are more appropriate for patients recovering from non-fatal drug overdose," Donohue noted. For the study, she and her colleagues used 2008-2013 claims data for all Pennsylvania Medicaid patients aged 12 to 64 with a heroin or prescription opioid painkiller overdose. Medicaid is the government-run insurance program for low-income Americans. The researchers focused on prescription painkiller use, duration, and rates of medication-assisted treatment with the drugs buprenorphine, methadone or naltrexone six months before and after an overdose. One-third of the 6,000 patients had survived a heroin overdose. Their rate of narcotic prescription painkillers dropped from about 11 percent to 9 percent, the researchers found. Of the 4,000 who had overdosed on prescription opioids, prescriptions decreased from about 33 percent before the overdose to slightly more than 28 percent after. Meanwhile, the number of patients receiving medication-assisted treatment rose from 30 to 33 percent after a heroin overdose. The increase was even smaller -- from about 14 to 15 percent -- after a prescription painkiller overdose, the findings showed. "On average, the patients were in their early to mid-30s, three-quarters were white, and a majority had been diagnosed by a medical professional as having an opioid addiction," Donohue said. Waller blamed doctors for overprescribing opioids to surgical and chronic-pain patients. "We now have unequivocal evidence that opioids are the wrong thing to do for chronic pain," he said. "The harm outweighs the benefit." And after surgery, the vast majority of patients will require only three to seven days of opioid pain medication, Waller said. "However, on average, physicians are writing for two to three weeks of pain medication," he said. Waller applauds efforts by states to limit the number of pain pills doctors can prescribe. "If we are not going to police ourselves, then somebody has to do it for us," he added. The study has limitations since it focuses on only a single state and on only Medicaid claims. As a result, it may underestimate the extent of opioid use, the study authors said. The report was published Aug. 22 in the Journal of the American Medical Association.